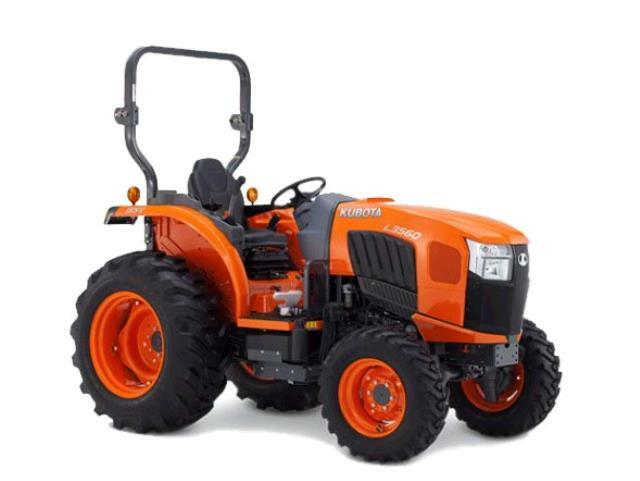 Heavy duty 34 hp Kubota 4 wheel drive tractor. Hydrostatic transmission for precise power to speed applications. Equipped with Cruise Control for uniform application of seed. Weight 3,305 lbs. without implements. Total length - 115" (9'-6"). Category I, 3 point hitch hookup. - 3,750 lb. lifting capacity at lift points. - 2,650 lbs. at 24" behind the lift points. 10.6 gallon diesel fuel tank.